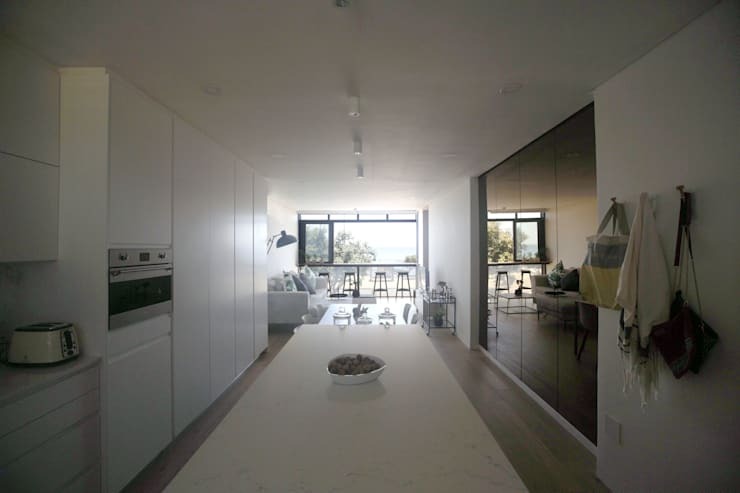 Is this the best minimalist apartment in Cape Town? 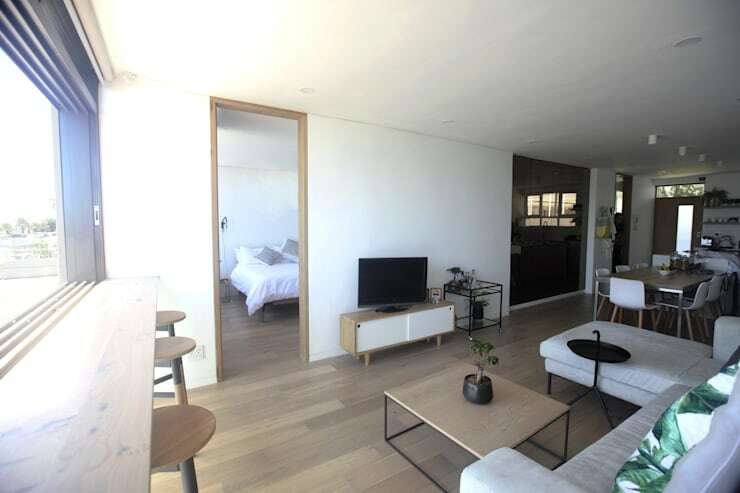 ​Is this the best minimalist apartment in Cape Town? 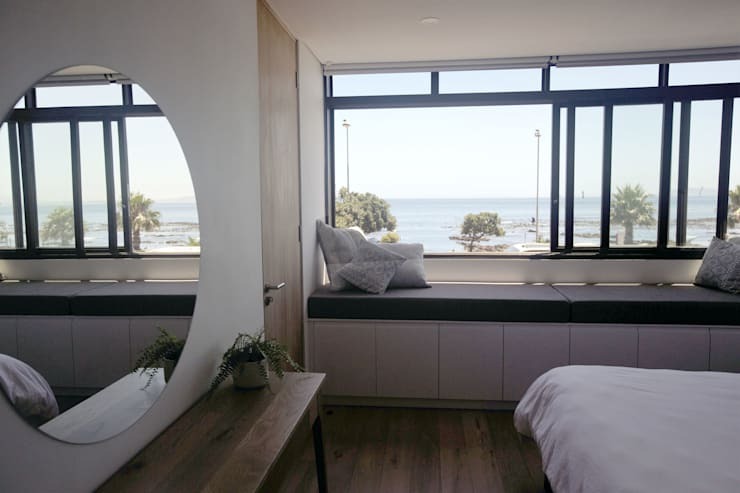 Our homify 360° discovery (for your viewing pleasure and inspiration, of course) for today comes to us from Cape Town-based team Kunst Architecture & Interiors. The project that they’re dying to share with us? A Mouille Point apartment that shows us just how much style and elegance can be achieved without using an abundance of patterns, textures or colours – or décor or furniture pieces even! The minimalist style aside for one just moment, how gorgeous is that sea view flooding inside? We understand fully why this room had to become the bedroom – wouldn’t you like to enjoy that serene view and calming ambience while sleeping? Our favourite piece here (apart from the view, obviously) has to be that bench that beckons us to enjoy a comfy sit-down while peering out over the Atlantic. The open-plan layout that consists of the living room, dining area and kitchen enjoys the same less-is-more design, yet here we get teased with a touch of complementing tones (jungle green, to be exact) adorning select décor pieces. After all, isn’t variety the spice of life? Seeing as these interiors are not the most spacious in the world, some clever touches had to be included to ensure the end result is deemed far from cluttered. 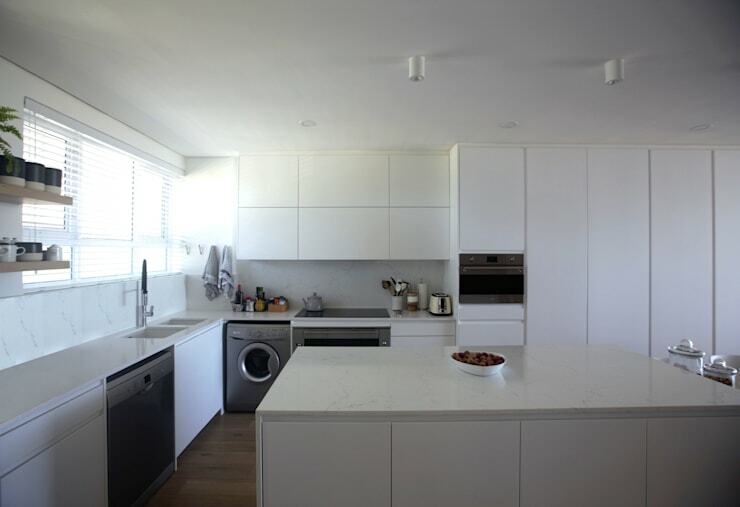 Thus, the cabinetry sport a clean and simple look (notice there are no handles or knobs), the colour palette is as straightforward and neutral (yet still super elegant) as can be, and the absolute minimum amount of décor items have been used. Clever, right? 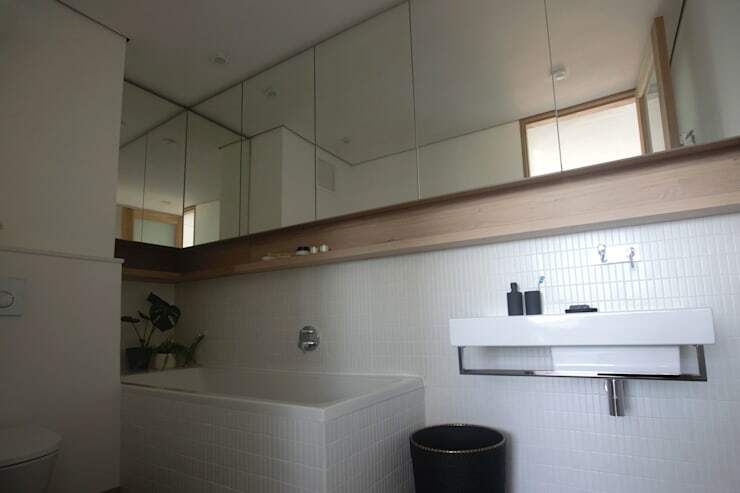 The minimalist style continues to do its best in the bathroom, although one can clearly pick up design touches and practical finishes which ensure not only a noteworthy space, but also a user-friendly one, like the patterned wall tiles and elongated shelving unit helping out with storage. Let’s sneak a peek at a few more images. 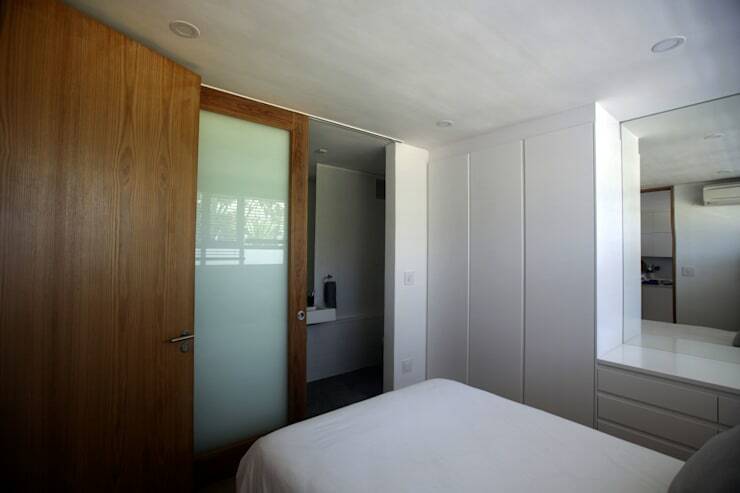 Now for something (much) bigger… see why This Umhlanga home is one sleek beauty! 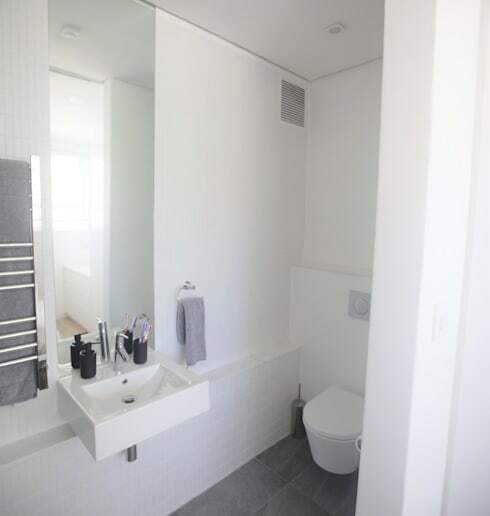 Love it or loathe it – what do you think of this apartment’s design?